Lack of subjects and themes in films about a certain kind of India is baffling. Amongst the other reactions as one walks out of a cinema hall after the lights come back on, the question "who was this film made for" invariably comes to the front. In a day and age where films are pre-packaged with a very specific audience in mind, a factor that nearly single-handedly decides the budget and the level of production, at least when it comes to popular Hindi films, is the lack of subjects and themes about a certain kind of India that would be the mainstay of most of the films made a few years ago, is more than conspicuous. For a few weeks when Rajkumar Gupta’s Raid released, it evoked varied reactions from both the audiences and the critics, and while such a thing is not uncommon for films, it was interesting to see how different sets of people (who previously would have been readily categorised on the basis of their "taste") took to the film. The majority of English press found the film to be too contrived and even simplistic, while critics who wrote in Hindi found the situations and characters to be rooted in reality. Similarly, the "multiplex" audiences largely brushed away the nuances that writer Ritesh Shah peppered his script with, but the smaller town audiences, for the want of a more effective expression, found the film to be just the kind of cinema that has lost its appeal with new-age filmmakers. One of the reactions to Raid was that it lacked any intricacies and was high on simplistic preaching. The film features Ajay Devgn as an upright Income Tax officer, conducting a raid on the corrupt and well-connected Saurabh Shukla, and the aim is to unearth 420 crores of hidden money. The English reviews highlighted things such as the "420" crores, the "super honest" official portrayed by Devgn; some even called it hollow, but the film’s story, that is said to have been inspired by real-life raids conducted across the states of UP and Bihar in the 1980s, warmed the cockles of the hearts of audiences and critics who hailed from such areas. This is perhaps a picture of India that has been highlighted by popular Hindi films of the 1980s and the first half of the 1990s (pre-Dilwale Dulhaniya Le Jayenge era), where larger-than-life villains were modelled on real-life "bahubali" or "dabangg" politicians or goons with political patronage from UP and Bihar. 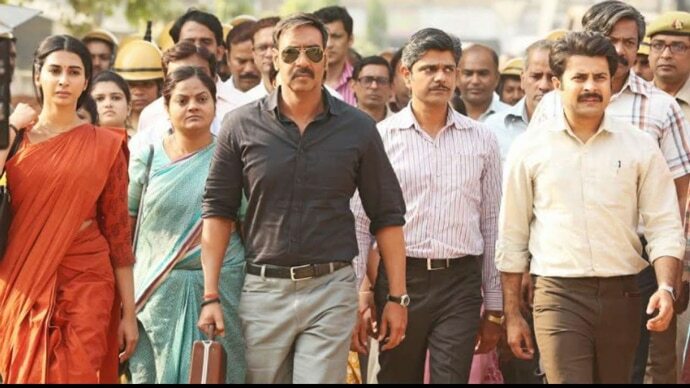 Writing on the significance of a film such as Raid, film critic Ajay Brahmatmaj noted, “We need films such as Raid that bring to screen the problems and dilemmas of the "Hindi" society with their nature intact. The reason for this could be that the sheer lack of detailing in "Bombay" film industry’s narrative, when it comes to stories from the northern Indian hinterland or any other Indian region that is not a creation of Bollywood — remember Chennai Express or Son of Sardaar? To call Raid or the later films of a Prakash Jha oversimplified due to the style of treatment, the narrative adopts would not be totally incorrect, but to undermine it perhaps is uncalled for. Escapism has been one of the hallmarks of popular Hindi cinema, and although a big portion of it can be considered silly, this sense of ‘unreality’, as described by the late Shashi Kapoor in an interview to the New York Times in 1973, is exactly what some audiences want and need. Do films like Raid then instill a sense of hope in the deprived within the audiences that dishonesty will not go unpunished and no matter what honesty, in the end, shall triumph? If this is the case, what is wrong with it? The manner in which the two diverse groups of people reacted to Raid brings to mind what the philosopher Jean-Paul Sartre said about the willingness of the audiences to collaborate with the artist. In the essay, "The Writer and His Audience", Sartre mentions that there is perhaps no such thing as an artist creating for one’s own self and observed that while a writer or, in this case, a filmmaker, might believe that he/she is perhaps creating the work for their own, this really isn’t the case for, had it been so, the work as an object would never see the light of day. If the audience is so important to complete this journey, it’s worth pondering who is then making films for a large chunk of viewers that exist beyond the metros? While popular Hindi films today appear to enjoy a sense of freedom that was difficult to imagine a little while ago when it comes to the subjects or the treatment, the stories that explore this kind of India are still rare to come by. Also read: Do nail-biters like Sunrisers Hyderabad versus Mumbai Indians hint at IPL being fixed?